Chrome browser launches on Google Daydream View and Lenovo Mirage Solo with Daydream headsets. Google today announced the launch of Chrome on Google Daydream View and the Lenovo Mirage Solo with Daydream. So if you have one of these headsets, you can launch Chrome directly from your homepage to browse and interact with any webpage while in VR. All the features you love on Chrome, from voice search to incognito mode to saved bookmarks, are now accessible on your Daydream headset. Google also added a few Daydream-specific features, like "cinema mode" which optimizes web video for the best viewing experience in VR. 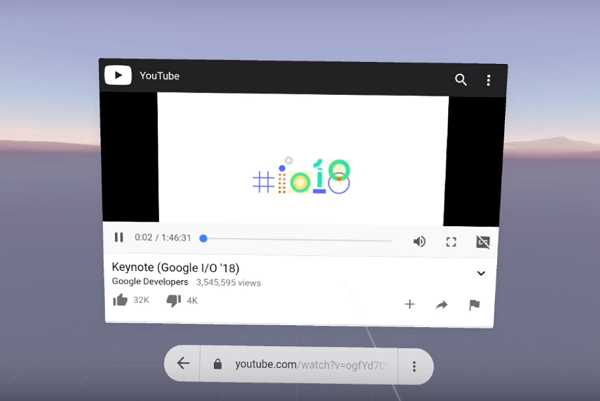 With Chrome now integrated into Daydream, you can start browsing on your phone, whether it is reading your favorite news article or watching a YouTube video, and easily switch to your headset.